Season one ran OK from a "Cold Startup" in mid winter with no pre-heating from A/C or thermal solar heat dump. Season two started off with great ground temperatures and is flattening out with efficiencies still well above the average closed loop design despite an extremely cold December and very low solar gain. 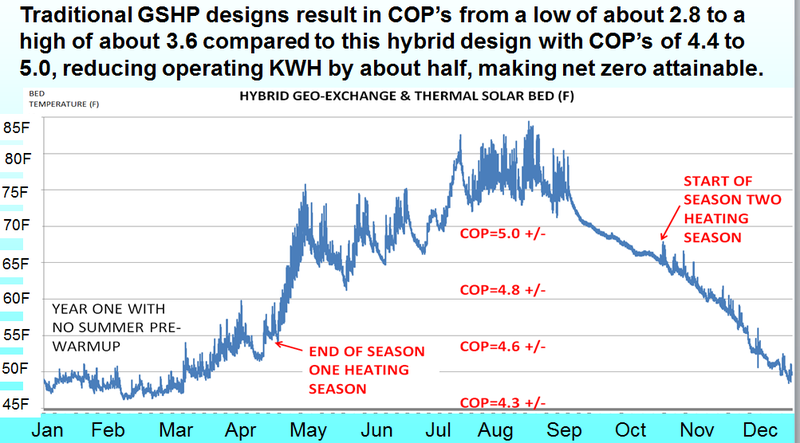 December 2013 thermal solar was low by over 50%. Note this is a glycol or ethanol free system designed to not require any antifreeze and run with very high efficiency. Note this is a residential system with traditional "box" compressors. For Commercial jobs using the Thermal Care TCW energy recovery chiller, the COP is about double of that shown with similar water temperatures. 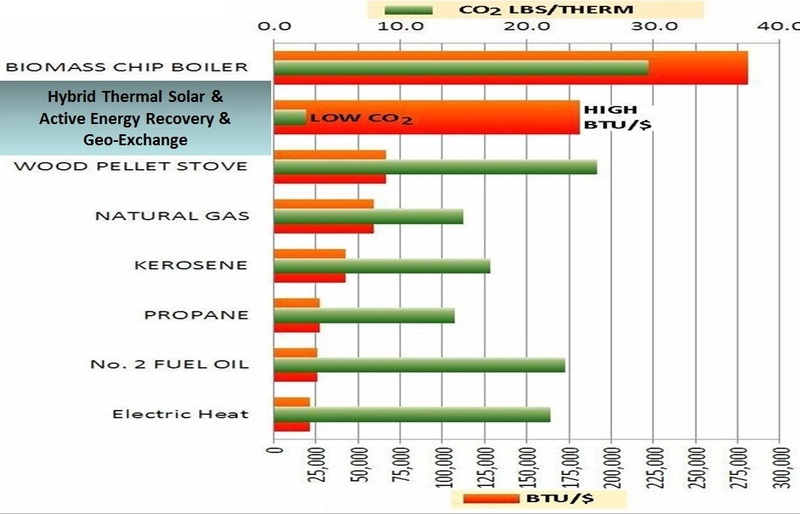 BTU/$ At System Efficiency: >>> Delivered BTUs per dollar is the bottom line for seasonal efficiency. This chart is a snapshot of a moment in time for a particular user and will vary to some degree for each individual user based on energy use volume, discount pricing and regional pricing. 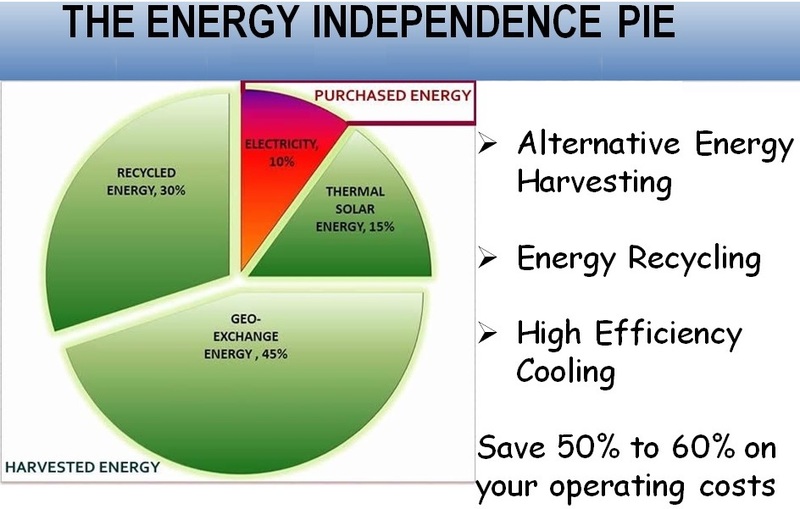 This snapshot though, is clearly representative of the distinct advantage of using a Hybrid thermal solar & geo-exchange system in terms of BTUs delivered at a significant cost savings over other alternatives. The combination of very high BTU/$ and low CO2 per therm make the energy recovery chiller solution attractive from both points of view.